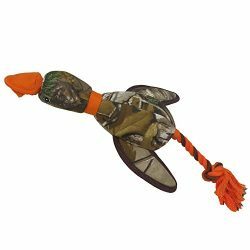 TOY for DOGS or CATS! 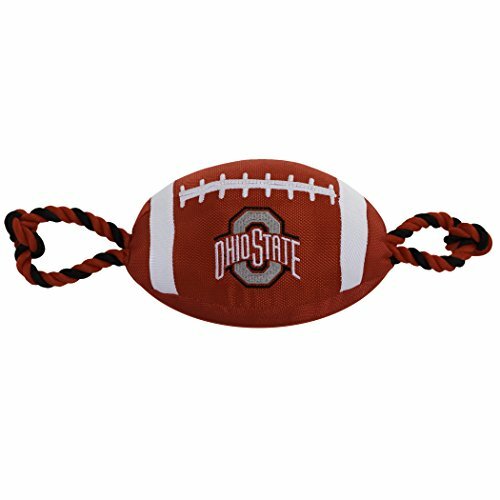 This NCAA FOOTBALL pull toy is made out of heavy-duty nylon with a tough web trim. 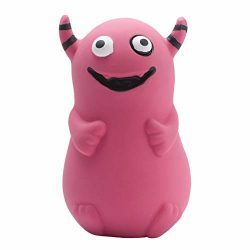 Tuggable squeaker for dogs that love to play and squeak their dog toys. 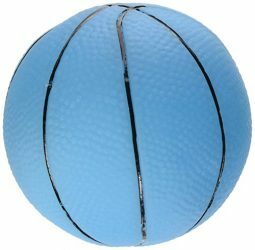 This dog toy is approximately 17 inches long, 4 inches thick, and 4 inches wide. 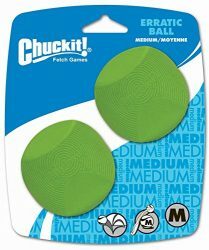 While no dog toy is ever guaranteed, this pet toy has been developed to provide plenty of playtime when used as instructed. Alabama Crimson, Arkansas Razorbacks, Auburn Tigers, Clemson Tigers, Florida Gators, Florida State Seminoles, Georgia Bulldogs, Iowa Hawkeyes, Illinois Fighting Illini, Indiana Hoosiers, Iowa State Cyclones, Kansas Jayhawks, Kentucky Wildcats, LSU Tigers, Michigan Wolverines, Miami Hurricanes, Missouri Tigers, Michigan State Spartans, Mississippi State Bulldogs, Nebraska Cornhuskers, Ohio State Buckeyes, Oklahoma Sooners, Oklahoma State Cowboys, Oregon Ducks, Penn State Nittany Lions, South Carolina Gamecocks, Texas A&M Aggies, Tennessee Volunteers, Texas Longhorns, Louisville Cardinals, Virginia Tech Hokies and Wisconsin Badgers. Are you going to play with your dog? well you then need our matching NCAA PET CAR SEAT COVER! 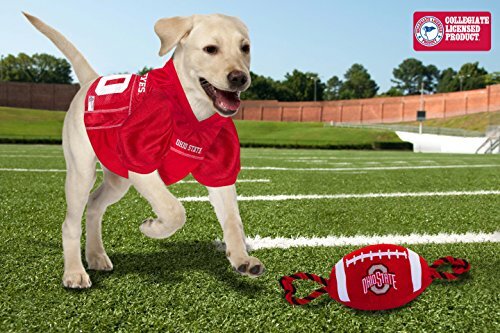 * Pets First company has established itself as the largest sports-licensed pet product company in the country. 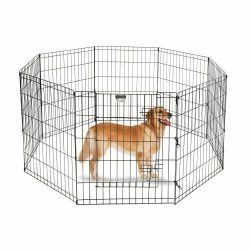 Our factories follow the highest standards of safety guidelines to ensure your pets’ security, while providing a long lasting product. 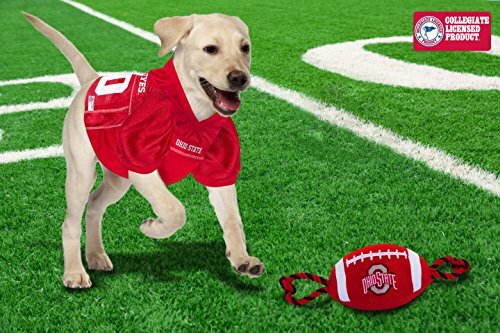 FOR THE FOUR LEGGED FAN – Love your dog? Love football? 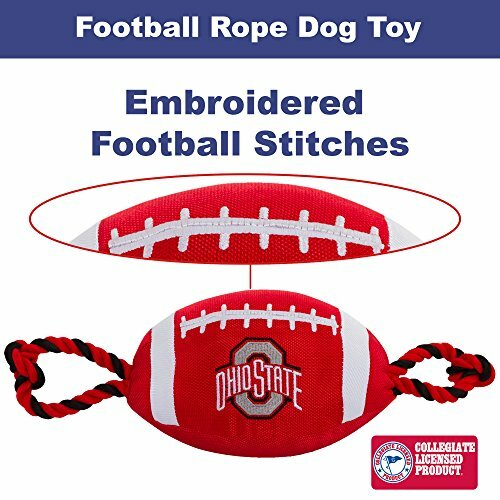 This dog toy in the shape of a FOOTBALL is just right for you! 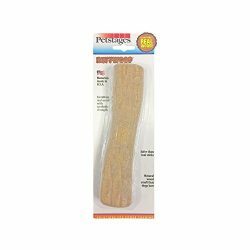 USAGE – Built for tug, fetch, and general fun with your dog! 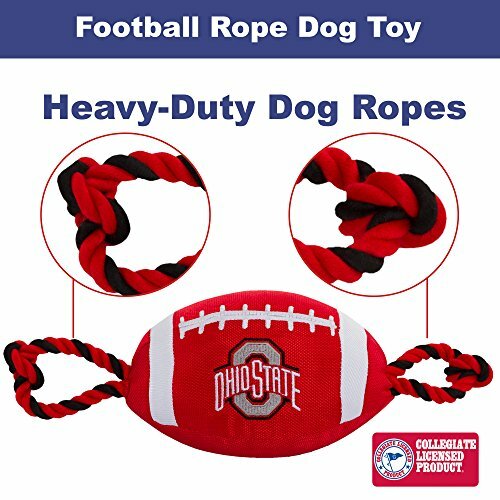 The two ropes make for an easy game of tug, while the built in squeaker keeps your dogs entertained and enthused about this football toy! 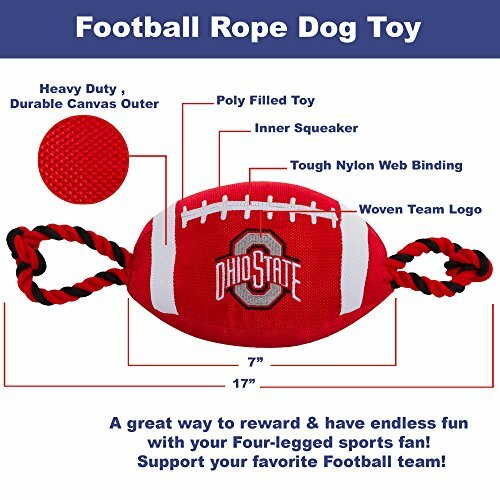 CONSTRUCTION: This dog toy is made from heavy duty & durable canvas outer, poly filled & held together with tough nylon web binding. 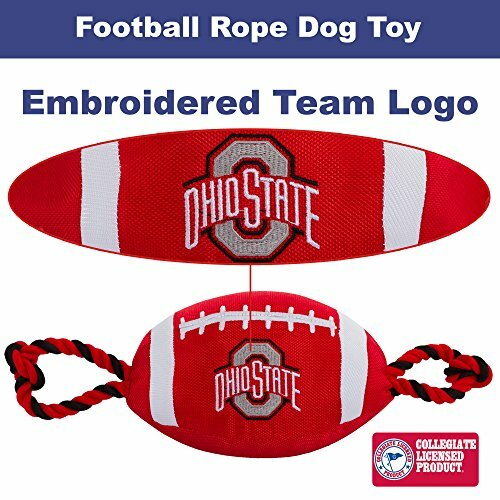 Has a ROPE on both sides, a SQUEAKER & has WOVEN TEAM LOGO!